We left for Texas in the wee hours of Sunday morning and did a pretty great job of steadily moving our way East until we hit Moriarity, New Mexico on Sunday evening. We put up the horses, got a room and woke up and hit the road again. By about 11 we both were hungry and in Amarillo. A stop for fuel and horse watering, gave me my one and only shot for lunch... Chicken Express! 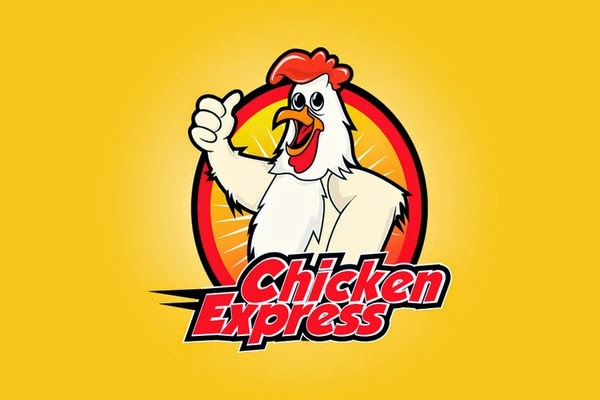 I have not only never heard of Chicken Express but never had the opportunity to dine at one either. It is obviously filled with menu choices of all things chicken but fish fillets as well! You now I loved that! I opted for the extra crunchy pieces of chicken tenders, a side of corn nuggets, biscuit and gravy and a little dessert of apple pie to go. The chicken was fried to order and totally moist. What a winner! The corn nuggets were also a fun little snack, all I needed was maybe a dipping sauce of ranch and they would have been solid. The biscuit was tasty and didn't even need to be dipped in the gravy, eaten alone was fine. The apple pie, was good enough for hankering a sweet tooth craving. Back on the road, I felt satisfied and enthusiastic for having tried a new fast food option while in Texas. 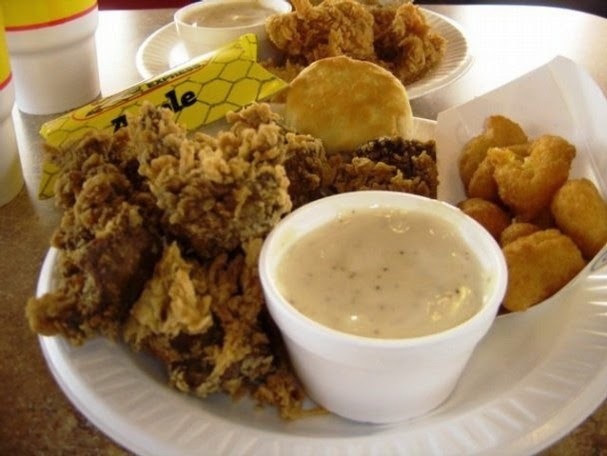 With Chicken Express under my belt, what other "chain" should I tackle next?